Oops…I did it again. Part 2. It’s not like this was a hard decision. Somebody had to do it. Hah! Youth ministry is the only thing I have ever felt “called” to do in my life… as if anybody can define how that works! I guess I would explain it this way: It’s the only thing I ever felt gifted or drawn to do with my life. When I was a young man, these decisions and this journey had clarity and ease. It made sense. I connected with kids and I cared about them. I cared about their dreams and their dramas…their struggles and their playbooks. More than anything, I wanted them to know God, live with an awareness of his presence, and choose to boldly embrace his kingdom. For years and years, I never wavered in that priority for my life. Even as a husband and a dad. As a pastor. As a teacher. As a counselor. As a friend. As a mentor. Doing youth ministry always made sense to me. It all connected. But when we moved to Texas years ago to work with kids, I found myself (again) in a situation where I needed to do more than just youth ministry…and for nearly 15 years, I was the youth minister who also preached every Sunday. Man…those were some crazy years! I’m not necessarily proud of this, but in my nearly 40 years of youth ministry, I never really played very well with adults in the church, even as I slowly became one and ultimately got older than almost all of them. That mess of honesty is for another blog post, btw. I love kids. I love their openness and willingness to be taught and challenged, to take risks, and to follow the words and example of Jesus as if he really mattered. But over the years here in Texas, two unexpected things happened. First, I found the church family where I belonged. My closest friends have always known I was a square peg in a round hole. I’m now at home in a square church. We’re not big enough, spiritual enough, focused enough, deep enough, conservative enough, relevant enough, friendly enough, visionary enough, missional enough, mature enough, organized enough, committed enough, political enough, serious enough, influential enough. There’s probably more. Second, once I figured out I just needed to treat adults like big kids, I found my sweet spot as senior minister. Look, there’s nobody in my church family who would ever mistakenly refer to me as dignified, but there are many who would call us “friends”. And that’s as it should be. So the dilemma is born. I love my church family. I love the adults. I love the kids. It’s a great dilemma to have. Go ahead. Hit the cray button. I’m going to tell you something today that lots of people will probably disagree with, but I’m your Papi and this my letter to you. Not anybody else’s. And you won’t be able to use this information for another 12 or 13 years. And even longer for you, Tatumonster! There will come a time when your parents will have no influence over your decision to be part of a church family. Most people call this “going to church”, but I’ll explain why I don’t ever call it that some other time. Anyway, it will totally be your choice. 100%. All on you. When your daddies lived at home with me and Mimi…long before they met your mommies…we made the decision about church for them. If we went to church meetings, they went to church meetings. It’s what we did as a family. But once they moved out on their own, they got to do whatever they wanted to do. And that’s the way it should be. And it will be that way for you guys, too. So I want to tell you something while it’s fresh on my mind. Here’s my advice for choosing a church family: Find a small one. Close to where you live. Don’t get all excited about the things a church provides for you. That totally misses the point of “church”. Be part of something where you can help it to grow strong and healthy. Don’t be part of a church family where you are not truly needed and genuinely noticed. Make sure it’s a place that poor people feel welcome. There is a special place in God’s heart for people in need. The more people of different races, the better. Oh…and make sure there are old people and young people and they have lots of ways to become friends with each other. Rubbing elbows and lives is the real stuff of church. Don’t ever be overly impressed with the skills of the person that does most of the preaching. It’s not the important thing. In fact, he’s not really all that important! And I should know… Be impressed with the kinds of conversations people have with each other. Listen carefully to the way they talk about people who are different. Find a place where loving others is not just talked about, but it is what people actually do. Make sure it’s a group of people who respect and teach the Bible, but they also make room for differing opinions. None of us are smart enough to have the whole Bible figured out. Church people seem to have the tendency to believe they are the only “right ones” and that they have more understanding of “truth” than the other guy. There are always going to be disagreements. People are not always going to see things alike. Be with a group of people who listen carefully and who make room for doubt and questions. Choose to be with people who respect women. History has not been kind to women, especially in the church. So find one where women stand on equal footing with men and they are challenged to explore and express every bit of their giftedness for the good of others. And this is especially true for the three of you: Find a church family that doesn’t take itself too seriously. Be with people who love to laugh. Find some people to stand beside and link arms with. Make sure that Jesus is their example. That’s my advice. I hope it serves you well, someday. There are lots of other important things, but I’m pretty sure you’ll be smart enough to figure them out as you go along. How do I know that? I know where you come from! This morning, I read five or six blog posts that referred to the same thing, in one way or another. They all wrote about a really important concept for church leaders who have the responsibility for pulling off the weekly Big Show. The concept is “Know Your Target”. It’s actually a well-known marketing concept the church co-opted years ago. Companies that are in the business of selling products, following profit margins, and expecting quarterly growth understand it well. It’s all about knowing who you’re selling to…knowing your demographic…knowing who you’re trying to reach with your product. In the church, that means since you can’t reach everybody, make sure you define the audience you are best at reaching (or who you desire to reach), and “target” them. Understand them. Identify with their interests and personality. Play to those things that connect with them. 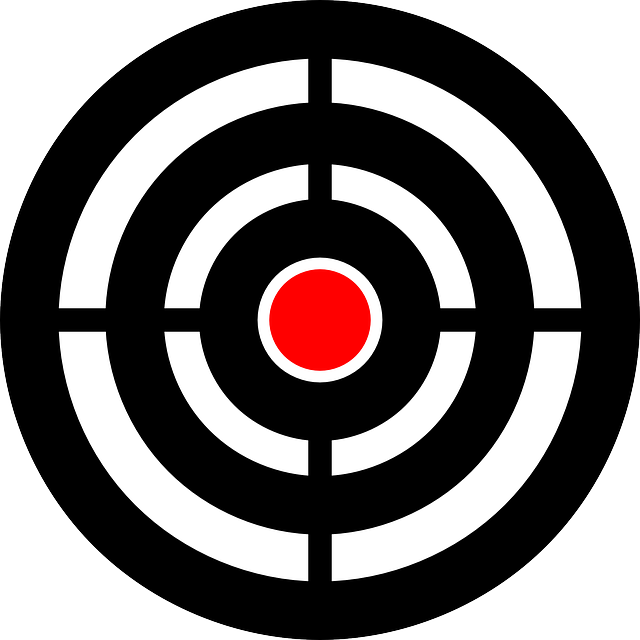 The targeting strategy is built on the idea that if you don’t structure to hit specific kinds of people, you may end up missing the mark altogether. In other words, if you try to reach everybody, you’ll end up reaching nobody…and forever be stuck in the horror and irrelevance of small churchdom. As a marketing strategy and plan for expansion, I happen to agree with the concept. I even understand the logic of applying a form of it to church family life, although I’ve always struggled with the visual image of people walking around with a bulls-eye on their foreheads. What happens if we only wing them? Yikes. I don’t mean to be petty, but I guess the fundamental problem I have with targeting an audience for a weekly Big Show, comes from my understanding of the nature of worship. In worship, there is an audience of one. The only target we are trying to connect with is the one we have come to worship. And that’s not the awesomeness of the pastor. Nor the hipness of the music. Nor the coolness of the building. Nor the vision of the church. Nor the bounty of the program smorgasbord. if you’ve read what i write for any length of time, you’re probably familiar with my ongoing cage match with the clergy. the fact that i am one, only makes things more awkward. look. i am more than okay with what it says in the bible about the position of elder, bishop, shepherd, minister, deacon, preacher and even pastor (even though that word only appears once in our english bibles). i just kind of live at odds with what the church and society have made the pastor out to be. for uh…hundreds of years. it’s been a while, but i’ll save the rant for another time. here’s what i’m thinking tonight, tho. i read a lot. the majority of what i read is about the church. church leadership. church growth. church programs. church shepherding. church discipline. church problems. church finances. church…church…church. on top of that, i do church stuff every day. church counseling. church planning. church study. church management. church strategy. church problems. church relationships. church meetings. church…church…church. i read this article today about pastors and why they quit. the author said that nearly 1700 pastors quit their roles as pastors every month. geez. i had no idea there were that many of us. 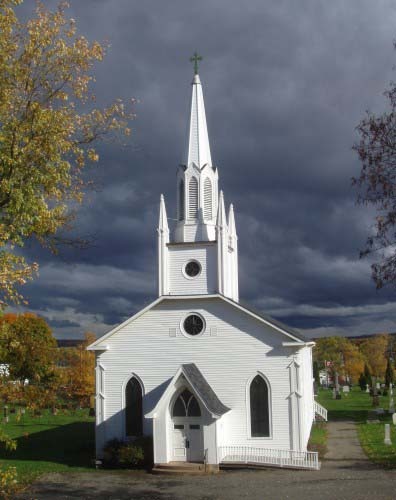 the article also said every year, 4000 new churches open their doors…and 7000 churches close theirs. wow. talk about a mess. talk about a disconnect. now i don’t know all the reasons why pastors quit. i’m sure burnout and disillusionment and feelings of failure and unrealistic expectations rank right up there. i’ve listened to pastors talk about how frustrated they are that their church family doesn’t view the church the way they do. i’ve listened to pastors complain that their people don’t respond to their sermons…don’t give enough money…don’t come consistently…don’t show enough support. i suppose this is at the heart of my ill feelings towards pastors the role they play in our culture. i’m weary of the whining. most people are never going to have the emotional investment in church life the way i do. just like i won’t have the same emotional investment you have in your job or your family. that doesn’t make me better. it doesn’t make you bad. it just makes us normal. don’t think about church programs every day. don’t reflect on my sermons all week long. don’t remember what i preached on the previous week. don’t get overwhelmed by the church calendar. don’t even know where to find a church calendar. don’t think about the church’s utility bill. couldn’t care less that i know greek. don’t understand what seminary is. don’t have a clue what i do. won’t think about “church” again until next saturday night or sunday morning. and i’m ok with it. really. i don’t obsess about what HR is doing at your work. i have no clue what the labor / management issues are at your place of business. i don’t know what your yearly budget is. i don’t know the details of the crises that you are managing at your work. i don’t know what IT guys do. or how pilots fly planes…or how to fix faulty gas shut-off valves…or how to deliver babies. …and your work and your life and the details of how you spend the overwhelming majority of your time are close to your heart and give meaning to your days. just like mine does for me. church is not a building or an event. it’s a family. don’t ever confuse church programs with the church. and i won’t confuse my role as the benevolent ringmaster of all things north point with the friendship we share. It’s no surprise that I’m not much of a “rule” guy…especially the older I’ve gotten. It’s not that I don’t see the value of rules…especially in the public sector, for the benefit of healthy community living. But after years of church life spent fighting the stranglehold of unbiblical, and even toxic legalism, well…let’s just say my wrestling match with rules is not ending any time soon. 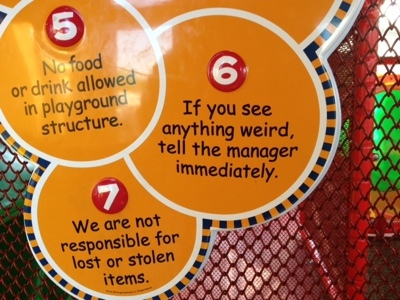 That said, I wouldn’t mind having this rule…one that is posted in the kid’s playground at our local Burger King…hanging in the North Point lobby. these words come a little harder tonight. i want to be careful. we are all products of the families we grow up in. some have wonderful, warm and healthy memories of childhoods full of love…full of great experiences…full of large extended families. others have memories of family life that is not so good. dysfunction. neglect. fighting. separation. abuse. empty promises. overreaction. apathy. and everything in-between. the family dynamic is huge. for all of us. the family i grew up in shaped me. i am an only child. my mom and dad had siblings that lived in other parts of the country. i met my cousins when i was young, but had no real relationships with any of them. i only met one of my grandparents…and she lived 1500 miles away. the other ones died before i was old enough to know them. we never had family reunions. there were no cousin camps. there were no trips to see grandma and grandpa. there were no family vacations to see the relatives. there were none of those cool family pictures where everybody’s colors are coordinated. there was no extended family for me. nada. both of my parents were gone pretty early in my kid’s lives (my dad held on a little longer, but we had moved away). both of wanda’s parents died when our boys were really little. our boys have almost no recollection of trips to grandma and grandpa’s house. almost from the very beginning, family was just the four of us. and our church family always meant everything to us. admittedly, i have a totally different perspective on church and church attendance than most. my most significant mentors and examples were church leaders. church activities were seldom ever in competition with family events. older couples in the church were functional grandparents to our boys. our closest friends and ministry partners were written into our early wills to take care of our boys, in the event of our deaths. the four of us were never insulted from life in the community or neighborhoods that we lived in. we were always active in youth sports and school activities. probably more active than most. we even had to make a few hard decisions about which events we would participate in…and those we wouldn’t. but that never happened very often. but our extended family never competed for our time or allegiance. because we had no extended family. we have always been free to invest ourselves in the lives of others. our hearts and calendars have never really been pulled in different directions. we always made time for our church family…because, if we didn’t, there wouldn’t have been any family. our church family has always provided our deepest and most profound relationships. it is where we have found accountability and teaching and healing and profound life experiences. for wanda and i, family reunions happen every sunday. for us, family dinner happens every sunday at whatever restaurant we find ourselves in with friends. 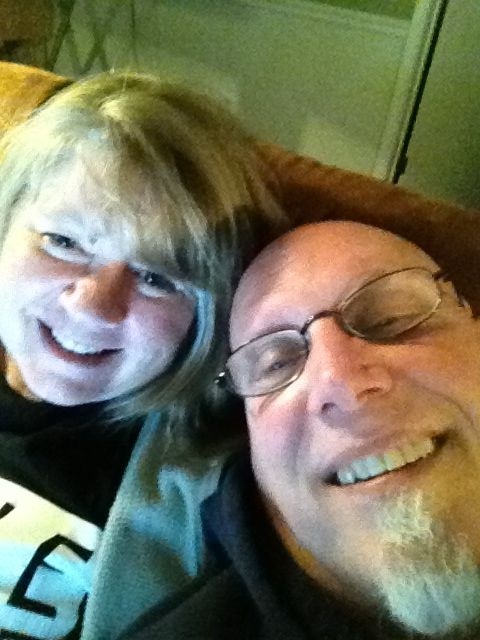 oh…wanda and i still have special times with our boys and their wives and the great holden. in fact, they don’t happen nearly often enough for us…and we always make time and whenever we get together, it means more to us than anybody knows. but our lives have always been bigger…waaaay bigger…than just the four (and now seven…and soon-to-be eight) of us. “blood” has never been “thicker than water” for me and wanda. there has only been “blood”. family has always meant the people we share life with…and not just the people who live under our roof. this is why church attendance means something more to me than it does to most others. it’s never about counting noses and getting bigger and proving my worth as a leader. 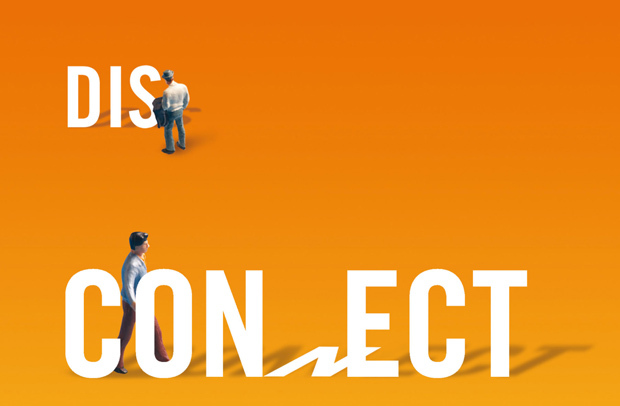 it’s about connecting and relating and being near people. attendance just means we’re all home.